Tsurumi Pump will showcase its pumps at process equipment at the Craft Brewers Conference & BrewExpo America in Denver, Colorado. Tsurumi Pump will feature its pumps and process equipment for the brewing industry at the 2019 Craft Brewers Conference & BrewExpo America in Denver, Colorado this week. Managing wastewater is a crucial for breweries because most average around three gallons of wastewater for every gallon of beer produced. Brewery wastewater contains alcohol, sugars and proteins that must be treated before it enters the waste stream and the company says that it can make a significant impact with its process equipment. Breweries face regulations concerning the amount of wastewater that can be discharged to local wastewater treatment plants so a detailed plan for wastewater management must in place. 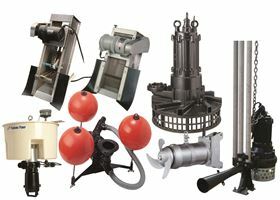 Tsurumi’s booth will feature many different products, including pumps and process equipment, such as bar screens, submersible aerators and mixers and several different types of pumps, including decanting pumps and agitator pumps. The 2019 Craft Brewers Conference & BrewExpo America is taking place from 9-11 April at the Colorado Convention Center. The Tsurumi team will be at booth 21127.